If you think hashtags are the next big thing for your advertising efforts, proceed with caution…before you lay your brand out to dry. There’s been plenty written over time about tweets and hashtags that have gotten people and brands into trouble. The latest Justine Sacco/IAC debacle is just one example. Typically, these catastrophes result from careless postings – ones in which the people posting did not follow the 10 second self-censor “rule” I always recommend to social media newbies. That is to say, before you post anything publicly, take 10 seconds to think if there could be any negative ramifications to your post…and if so, edit it or don’t post it at all. When it comes to hashtags in advertising, however, there is nothing accidental about them. Ad agencies and their clients put a lot of deliberate thought and approval processes in place to ensure everything about their ad campaigns meet certain standards. Ad campaigns using hashtags are no exception. In fact, hashtags could be considered one of the latest “it” bright shiny object techniques in advertising. Advertisers just seem to be chomping at the bit to find a way to weave a hashtag into their campaigns and show what great “integrated marketers” they are. Sorry – this technique isn’t necessarily working for me, particularly when it comes to the execution and intended value of some of 2013’s advertising hashtags. Let’s explore my list so you can be the judge yourself. This category is made up of hashtags that don’t necessarily harm the brand, but don’t really do much of anything for them at all. Some of these kinds of hashtags used in TV ads are flashed across the screen so quickly, the unsuspecting or unprepared viewer can’t even see them…so why employ them in the first place? 1. Ford’s #forddreambig – I get where Ford was going with this hashtag idea, and it’s mainly been used by some consumers the way Ford intended them to, but then there are the abusers, and it’s the abuse a brand shouldn’t leave itself open to. 2. Toys R Us’s #wishinaccomplished – With no brand correlation at all and tiny font flashed on its television ad, this hashtag is more like #nuthinaccomplished. Instead, Toys R Us left itself open to hashtag hijackers and brand protestors. 3. 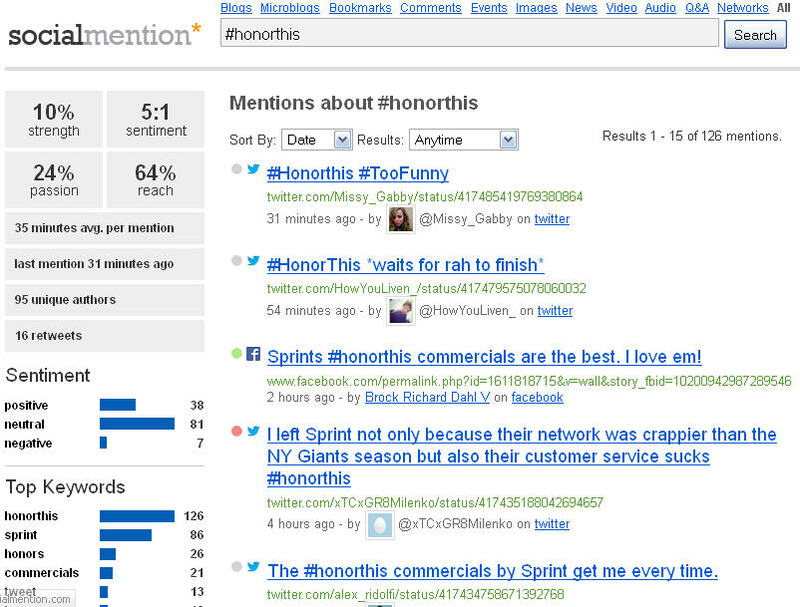 Sprint’s #HonorThis – While this campaign featuring James Earl Jones and Malcolm McDowell vocalizing calls and texts of supposed Sprint users (let’s just ignore the creepy shades of NSA privacy violations with this fiction) has apparently entertained many, my biggest complaint about the hashtag is that it’s flashed on the screen for all of two seconds at the very end of the commercials…and that’s if you’re paying attention by then. 1. Domino’s #poweredbypizza – Rohitb Hargava makes a compelling case for why you can have a great hashtag but if you don’t have great execution to back-up your campaign, it will ultimately not be viewed of as a success. 2. Guinness’s #RoundUpYourMates – This campaign run in Great Britain and detailed on Dan Barker’s blog shows just how far a brand is willing to go to experiment with hashtags in advertising…and fail. Barker also gives great advice to any company considering running ad campaigns with hashtags and how to do it better. 1. Jell-O’s #FML – Trying to add a little levity to a standard negative acronym hashtag (***k my life), Jell-O turned it around to “fun my life.” They offered to help out a few lucky #fml sufferers. A clever idea…so long as everyone got in on the joke. 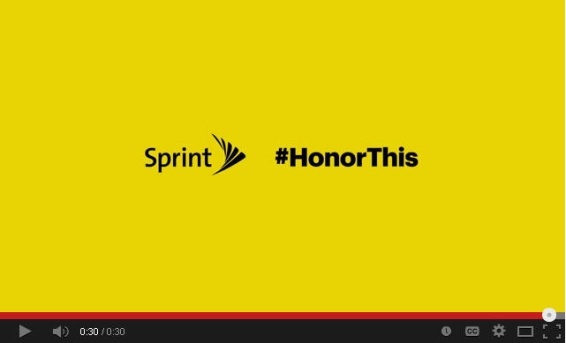 But do you want your brand associated with a hashtag that’s dicey to begin with? The verdict was mixed. 2. Wonderful Pistachio’s #crackinstyle – Launched during Super Bowl and still playing today, this television commercial features Gangham Style’s Psy and a dancing pistachio. I’ll refrain from commenting upon those visuals alone, but the hashtag is not only unmemorable, but also easy to abuse, particularly after Psy’s anti-American statements. I also seem to remember an old crank caller script: “Phil M. #Crackinstyle,” anyone? 4. 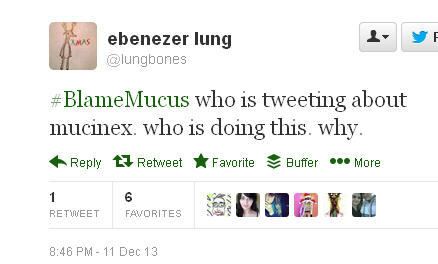 Charmin’s #tweetfromtheseat – Mucus ain’t got nothing on Charmin in the gross department. With its campaign that clearly evokes people using their phones while they’re doing their business on the toilet, and God knows what their hands have or will be touching before, during or after their tweet! This campaign is just wrong, wrong, wrong. The takeaway? If you’re considering incorporating hashtags into your advertising or marketing campaigns really consider if the hashtag is adding any or enough value. That value has to outweigh the likelihood of the negative or hijacked use of your hashtag. Entrepreneur, author, analyst, and “Client Advocate,” Internet pioneer, Hollis Thomases founded her first company, Web Ad.vantage, in 1998. In 2013, Hollis moved on to ROI Diva, which, through fact-based assessments, analysis and consulting, helps companies navigate the complexity of the ever-changing digital ad/marketing landscape. 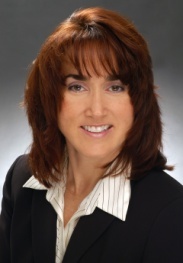 Hollis authored the book, “Twitter Marketing: An Hour a Day” and has been a columnist with Inc.com and ClickZ. Hollis also frequently speaks at industry conferences and association events. You can find her in the Twittersphere (@hollisthomases) or by old-fashioned phone: +011-484-679-6364. 86% of Brands to Increase Video Ad Spend in 2014. Where’s the Money Coming From? Digital media and marketing professionals are bullish on video ad spending, find Adap.tv and Digiday in their latest semi-annual “State of the Video Industry” report released today. Brands reported an average 65% increase in spending this year over last, with agencies upping their expenditures by 83%. And the dollars should keep coming: roughly 9 in 10 brand and agency respondents plan to increase video ad spending next year. So where’s that money coming from? TV is the likely answer, and the study results bear that out. 31% of brands said they would pull from broadcast TV (up from 19% last year), while 10% said they would draw from their cable budgets (down from 13% last year). Interestingly, though, the most common response from brands was that video budgets would be incremental: 33% said their spending wouldn’t come at the expense of any other category. That’s up from 26% stating the same last year. Display remains on the hook this year, too, with 30% of brands saying they’d shift funding from there to online video, relatively unchanged from last year’s 32% anticipating such a shift. But concerns about display cannibalization ramping up seem to not have materialized for the time being. Print (19%, down from 29% last year) appears to be relatively safe this time around, while direct response (6%, from 3%) and search (5%, from 0%) may see some budget cuts in favor of online video. Leaving other media out of the equation for the moment, research shows that TV ad spending continues to rise even as audience size remains flat or declining, speaking to the value advertisers continue to place on TV commercials. (A separate MarketingCharts analysis suggests that advertisers are spending roughly $225 per year on each TV viewer, versus $144 to reach each online user.) Indeed, a comparison of Kantar Media spending figures with Nielsen audience estimates reveals that TV ad spending growth continues to be relatively solid (with the exception of the Q3 decline) amidst an apparent saturation in audience size. The size of the TV-viewing population (Americans aged 2 years and older) appears to be recovering, but has remained mostly stagnant for almost 2 years. TV consumption rates seem to be remaining fairly flat, too. Overall, traditional TV viewing time is inching up, though there are stark demographic differences at play: the oldest segments continue to increase their viewing time, while younger segments are slowly turning away from traditional TV and upping their consumption of online video. (See here for an in-depth look at TV consumption rates for youth.) It’s also worth noting that the number of TV homes has increased, according to the latest Nielsen list of DMAs. The latest web rankings are in from comScore, and Yahoo once again ranked as the top desktop web property in November, boasting about 2 million more unique visitors than Google (194.6 vs. 192.7 million). As always, it’s important to remember that these are desktop-only figures; until further notice, Google continues to have the bigger overall audience when factoring in mobile counts. Meanwhile, the top-gaining site categories aren’t surprising: retail categories occupied 6 of the top 10, with 2 services! categories – e-cards and coupons – also in the mix. Curata has released an early look at its 2014 Content Marketing report, revealing that most survey respondents are recognizing content marketing’s increasing impact across a variety of goals, including awareness building and customer engagement. The data indicates that the majority (63.4%) of content is currently being created by marketers, with roughly one-quarter curated and the remaining 12.6% syndicated. Respondents would like to see a gradual shift away from created to curated content, though. Online ad revenues continue to climb to new heights, growing 15% year-over-year in Q3 from $9.26 billion to $10.69 billion, according to the latest quarterly revenue report from the Internet Advertising Bureau and PricewaterhouseCoopers. That makes Q3 the latest record-setting quarter, up from the previous peak of $10.31 billion set in the fourth quarter of 2012. The record won’t stand for long, though: if current growth trends continue, online ad revenues could approach $12 billion during the fourth quarter of this year. Meanwhile, the Q3 rate marks the 14th consecutive quarter of double-digit year-over-year growth. It also represents 4.2% growth from Q2′s $10.26 billion in revenues. 9 in 10 “business leaders” plan to either increase (46%) or maintain (47%) their marketing budgets in 2014, according to [pdf] a recent survey from StrongView (formerly StrongMail). Respondents – from a mix of B2C and B2B companies primarily headquartered in North America – evaluated their spending plans across a variety of programs. The results reveal strong support for a variety of digital marketing channels, while traditional media budgets look like they’ll suffer. Topping the list in terms of planned spending increases was email marketing, with 52% of respondents planning to increase their investments. Just 2% plan to pull back on their email budgets. Close behind was social media (46% increasing versus 2% decreasing), with organic and paid search (41% increasing versus 4% decreasing) and online display (36% increasing versus 5% decreasing) also likely to see gains. Curiously, fewer (32%) are planning to hike their mobile marketing spend, despite recent projections suggesting healthy increases over the next few years. The big losers in terms of planned spending appear to be traditional advertising channels, with print advertising (10% increasing versus 32% decreasing) and radio/TV advertising (9% increasing versus 17% decreasing) both having a larger percentage of respondents expecting to decrease than increase their budgets. While it’s not surprising to see print advertising among the losers, a recent MarketingCharts analysis suggests that TV ad spend should remain healthy, at least in the US. Interestingly, trade shows and events appear to be making a bit of a comeback: wh! ile last year’s survey found more respondents expecting to decrease than increase their event budgets, this year’s results find the opposite to be true. That result follows from a series of studies released earlier this year (such as this one) indicating that marketers – from B2B companies in particular – are seeing strong ROI from their trade show budgets. While this particular survey doesn’t segregate B2B and B2C marketers, the results indicate that the general budget shift towards online marketing at the expense of traditional media and marketing channels that was observed in much research over the past couple of years (a recent example here) will continue into 2014. The mobile programs slated for budget increases by the largest share of respondents are building apps (20%) and SMS to email opt-in (16%). SOCIAL MEDIA YEAR-IN-REVIEW: Pew Research Center released its annual social media report yesterday. The report is based on survey responses from U.S. adults. Some of the more interesting data in the report shows that nearly two-thirds of Facebook users in the U.S. use Facebook daily (63%), compared to less than half of Twitter users who access that site as frequently (46%). More than half of Twitter users reported visiting the social site either weekly or less often. Furthermore, 90% of Twitter users in the U.S. said they also use Facebook. Whereas, just 22% of Facebook users reported using Twitter. In fact, Facebook users were quite evenly dispersed among Twitter, Instagram, Pinterest, and LinkedIn when asked what other social media service they use to complement their Facebook usage. Dec 16, 2013 – bad guys deploy their resources efficiently – to capture value from the easiest sources first, then they target the most lucrative sources, etc. zov 21, 2013 – Bots are used for everything from generating fake traffic and pageviews, to typing in search terms, and to clicking on search ads. Oct 28, 2013 – The various points in the ad fraud value chain where bad guys can extract value. Oct 24, 2013 – Video Ad Fraud Investigation Pt 1 Dr. Augustine Fou October 2013 -1- Augustine Fou. Oct 24, 2013 – Fake Views on YouTube Video Ad Fraud Dr. Augustine Fou October 2013 -1- Augustine Fou. Both Apple and Google make popular mobile operating systems. Apple packages its operating system, iOS, with hardware, the iPhone, and sells the whole thing for ~$600. This business has created huge profits for Apple, and now the company has a $500 billion market cap. You would think that Google would see this success and copy it. Google gives away its operating system, Android, for free to hardware makers. One reason: The company believes giving Android away for free increases the size of the world’s Web-connected population. The company believes that increasing the Web-connected population will inevitably lead to more Google searches — which Google can monetize with search ads. There is some new evidence to suggest the answer is yes. Horace Dediu of Asymco has a chart that proves there is at least a correlation between the size of the world’s Internet population and Google revenues.